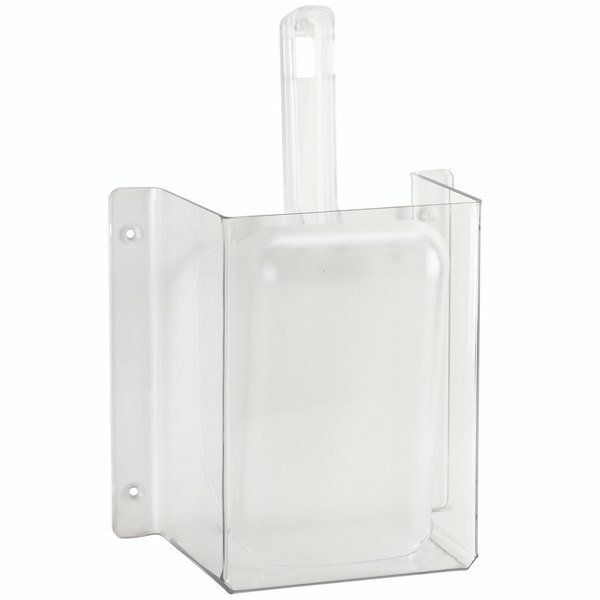 This Cal-Mil 624 wall mount scoop guard with 32 oz. scoop provides a convenient, sanitary solution for a variety of uses. This holder set easily mounts to your wall for convenient access. Whether you need it for use in an ice bin or for bulk ingredients, this set will keep a suitable scoop nearby without it resting on or coming in contact with unsanitary surfaces. Made of durable polycarbonate, this unit is extremely durable, lightweight and easy to use. Its clear color also allows you to always see that your scoop is clean and ready to use. From concession stands and kiosks to restaurants and smoothie bars, this scoop and holder combo set is ready to scoop 32 oz. of ice, flour, or other ingredients! 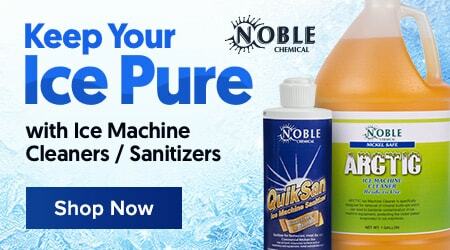 This product can expose you to chemicals including Bisphenol A (BPA) and Dichloromethane (Methylene Chloride), which are known to the State of California to cause cancer, birth defects, or other reproductive harm. For more information, go to www.p65warnings.ca.gov. WARNING: This product can expose you to chemicals including Bisphenol A (BPA) and Dichloromethane (Methylene Chloride), which are known to the State of California to cause cancer, birth defects, or other reproductive harm. For more information, go to www.p65warnings.ca.gov.